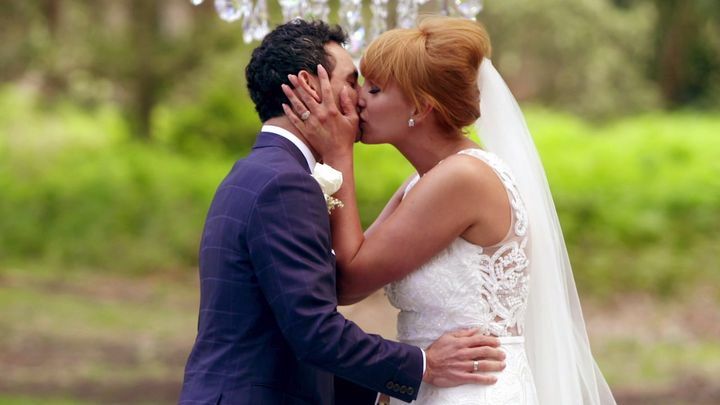 At Hunter and Bligh, like majority of the Australian population, we live and breathe for the drama – the Married At First Sight drama that is. Undoubtedly, one episode in to the sixth season installment and we are already hooked! Relationship “experts” John Aiken, Trisha Stratford and Mel Schilling have paired 20 singles using a mix of neuroscience and psychology. Their aim is to simply create 10 perfect matches. Already, 62% of Hunter and Bligh readers believe that only 1 – 2 couples will withstand the experiment. So far, Married At First Sight viewers have been introduced to some interesting characters. From 32-year-old mother of three Ning, an ex-pro cricketer named Cameron, Elizabeth and Ines (as crazy as each other), Cyrell’s brother Ivan and of course a handful of electricians – hopefully they’ll all find a spark. 1. Ines and Elizabeth have both already taken the title as the season six Davina’s. 56% of Hunter and Bligh readers believe that Elizabeth will however cause the most drama this year. 3. Although Ning comes with a package, she seems legitimate to find love and commit to the experiment. Ning has already had children, now Ning’s goal is to find a soul mate, not a partner. 4. 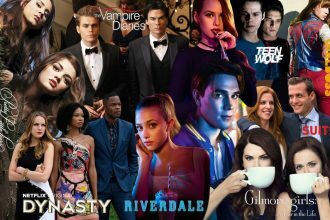 Hunter and Bligh readers already agree that season six favourites are in no doubt Jules and Cameron. Already, this couple is relationship goals. Interestingly, throughout the ceremony, their eyes were interlocked and focused only on each other. Usually, majority of the previous contestants would turn to the crowd for reassurance and a reaction. Already, Jules and Cameron seem incredibly content with their relationship. “I just think you’re wonderful,” says Jules. 5. With Ines’ hobbies including wearing a bikini and focusing on superficial and materialistic things; there’s no doubt that she is more focused on herself and her expectations from her partner than the actual concept of finding love. 6. Mick is a farmer. Mick has animals on a farm. Just think of all of the petting and cuddles. Mick is ideally looking for someone who is down to earth and a woman who is not afraid of being the big spoon. 7. Elizabeth is a strong character for season six. Already, at her first event with the other contestants, Elizabeth has voiced her opinion about her needs and wants. Whenever Elizabeth was speaking, the other female contestants kept quiet and felt overpowered by her opinion and her feisty personality. Some contestants looked like they wanted to disagree with her, but never did. 8. Cyrell needs a lot of reassurance from her brother Ivan which may cause an issue between her relationship with Nic. Nic has described himself being drawn to strong females – although Cyrell is a strong and somewhat fiery character, she takes a lot of influence from her overprotective brother Ivan. Cyrell’s brothers disapproving thoughts on the experiment may cause issues in the future. 9. Ivan is a jerk and has little to no patience. 10. It seems that the relationship experts John Aiken, Trisha Stratford and Mel Schilling don’t listen to the requests given by the 20 singles. Instead, it seems that they have taken their requirements either literally or not considered at all. If requests are not met, and the couples are discouraged from the person instantaneously, will this prove to be an instant failure for the relationship? Want to have your say on Episode 1? Share your opinion for a chance to win an escape to Hamilton Island!